Monterey County Eye Associates is proud to offer advanced ophthalmology services and eye care treatments. Our focus is your wellness, which means improving your vision and helping you have the healthiest eyes possible. While many people expect eye care experts to address advanced vision problems, we can also help you deal with issues such as dry eye. While it may seem minor, professional dry eye treatment can significantly improve your day-to-day life. Also known as keratoconjunctivitis sicca, dry eye refers to cases in which a person experiences a significant issues with the tear production of the eyes. When dry eye occurs, it can lead to itchy, red, and irritated eyes. Blurry vision, light sensitivity, and other problems may arise as a result of the condition. Decreased Tear Production – Age, illness, and many other factors can cause you to produce fewer tears than normal. Increased Tear Evaporation – Environmental factors or issues with the eyelids can cause your tears to evaporate sooner than they should. Imbalanced Tear Composition – Tears are comprised of three layers: oil, water, and mucus. Imbalances of these three layers can lead to issues with tear production or tear evaporation. In general, the ideal treatment for your dry eye will address one of these causes. 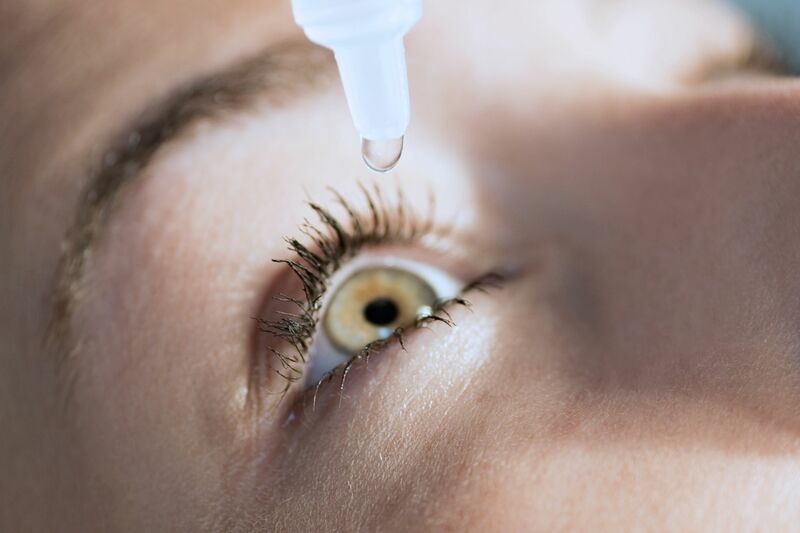 Most people who suffer from mild-to-moderate dry eye will simply require the use of over-the-counter lubricating eye drops. These will help moisten the eyes and prevent problems with itchiness and irritation. Use the drops when your eyes are irritated. For some patients, the use of medicated eyedrops may be better suited to targeting the cause of their dry eye. These medications might help reduce inflammation to promote tear production, or may stimulate the production of tears directly. The puncta are tear drainage ducts located in the inner corner of the eye where the upper and lower eyelids meet. To preserve the tears on the surface of your eye, small, sterile plugs may be placed in the puncta. The meibomian glands (located at the base of the eyelashes) are responsible for secreting oil into the tears in order to achieve proper composition. Inadequate oil production means that tears evaporate too quickly. Meibomian gland expression is a procedure that squeezes out any contents that clog these glands so proper tear balance can be achieved. If your dry eye comes as a result of contact lens use, occupations that require you to stare at a monitor for long periods of time, or exposure to windy and dry environments, there are simple lifestyle changes to consider. Switching to glasses may help prevent dry eye from occurring as frequently, for example, and there are simple ways to reduce eyestrain and prevent dry eyes. These options for at-home care and dry eye management can be discussed in more detail during a visit. To learn more about dry eye treatment and how we can help you alleviate pain and discomfort and achieve excellent vision, be sure to contact our advanced eye care center today. The team at Monterey County Eye Associates is here to help you see clearly again.